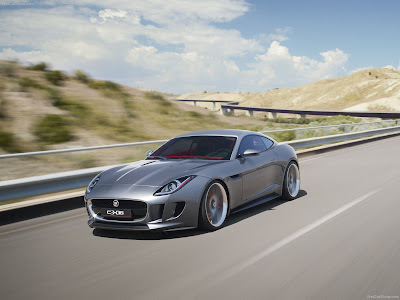 Auto Body-Collision Repair-Car Paint in Fremont-Hayward-Union City-San Francisco Bay: New Jaguar F-Type? Original 1963 Jaguar XKE "E-Type"
Jaguar shows their "C-X16" Concept car in Frankfurt, Germany this week. The car looks very well fleshed out and Ian Callum, Jaguar's head of design, is specific about "introduction" price and engine. We heard a year ago that Jaguar approved an F-Type spiritual successor to the famed 1960's & 70's E-Type. We think this is it or close to it.